The staff at CannAmm Occupational Testing Services would like to take this opportunity to welcome you and to review the roles of a designated employer representative in the effort to help you sort through some of the areas of the program. We manage full programs for both our industry clients and our DOT regulated clients. Learn about the U.S. DOT regulations. Download a copy of the Canadian Model. Our toll free number is accessible throughout North America and will be accessible from 6:00AM to 5:30PM Mountain Time (8:00AM to 7:30PM Eastern Time). If, after regular business hours, you require emergency post accident or reasonable cause testing you can call our toll free number above and you will reach our auto attendant. Please follow the prompts which will lead you directly to our 24 hour Answering Service. The Answering Service will ask you for information regarding the incident and an after-hours coordinator will call you back within a few minutes. 1.800.440.0023, option 2 and then select option 6. 1.800.440.0023, option 2 and then select option 3. Used to ensure that we are speaking with the appropriate authorizing Designated Employer Representative when discussing private and confidential information. This is to protect the company from liability and to also ensure the confidentiality of test results. You will be requested to provide your verbal password prior to discussing any account, booking or result inquiries. 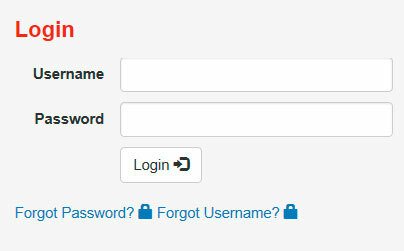 This password and username (issued by CannAmm) is used to log onto our secure Program Administration Web Site (PAWS). Should you forget your password or wish to change it, this can be done online in seconds. There are six situations when drug and alcohol testing can be done. Depending on your goals and the requirements you have to meet, you might want to do testing in all or some of these situations. We also offer emergency/after-hours testing. If, after regular business hours, you require emergency post accident or reasonable cause testing you can call our toll free number 800.440.0023 to reach our auto attendant. Please follow the prompts which will lead you directly to our 24 hour Answering Service. The Answering Service will ask you for information regarding the incident and an after-hours coordinator will call you back within a few minutes. Urine drug specimens are tested in a SAMHSA credited laboratory. We recommend laboratory-based urine drug testing as the most reliable solution as it provides the most legally defensible type of results, recognized by Construction Owners Association of Canada (COAA) and the U.S. Department of Transportation (DOT) as the leading practice within the testing industry. The devices provide expediency and are generally reliable but are not 100% accurate. Devices which are FDA approved only have to be accurate within 25% of the stated cut off levels. Results are visually read and subject to the collector’s interpretation. CannAmm runs QA/QC protocols on the batches of devices to maximize this accuracy but there is still a discrepancy between the accuracy of these devices and lab based testing. A POCT drug test is ideal when you need results instantly; but if you have time to wait, laboratory testing is the recommended method of testing. The POCT test results meet the same cutoff levels as laboratory results, but are not recognized by the Canadian Model or the U.S. DOT. All samples that screen inconclusive are sent to a SAMHSA certified laboratory for confirmation testing. Sending the sample to the laboratory for confirmation follows the industry standards. This test type provides a preliminary express urine drug screen with the laboratory based test as the final result. Performing an express-to-lab eliminates the false result as laboratory testing offers 100% accurate results. The Express to lab is used as a preliminary risk assessment tool (initial screen result). In order to manage the risk of a labor or human rights dispute (should the result come back negative due to authorized medical use, cancelled, invalid, etc.) CannAmm strongly recommends your company defer any action until a laboratory confirmed Medical Review Officer (MRO) verified result is received. If an employee is placed back to work based on the preliminary risk assessment (express screen result) you must be prepared to immediately remove the worker from any safety sensitive position if the final test result comes back positive or Negative with a safety advisory. This test type provides a preliminary express urine drug screen with the laboratory based oral fluid test as the final result. The Urine Screen Express is used as a preliminary risk assessment tool (initial screen result). Due to the difference in matrices there is the potential to have a negative or inconclusive screen that will be different from the final laboratory based Oral Fluid test result. In order to manage risk of labor or Human Rights dispute CannAmm OTS strongly recommends that the company defer any action until the laboratory Oral Fluid confirmed Medical Review Officer (MRO) verified result is received. If an employee is placed back to work based on the preliminary risk assessment (express screen result) you must be prepared to immediately remove the worker from any safety sensitive position if the final test result comes back positive or Negative with a safety advisory. All CannAmm oral fluid testing is laboratory-based to give you the accurate results that you can depend on and action reliably if needed. While lab-based oral fluid drug testing is not the gold standard that urine testing is, it can be the best choice in certain situations. Lab-based oral fluid testing is easily administered and supervisors can be trained for testing employees working in remote locations where access to a fixed collection site may be challenging. Lab-based oral fluid testing may be required to meet conditions of ratified agreements in post-accident and reasonable cause scenarios. Alcohol testing is best done using a breath alcohol test that determines the concentration of alcohol in a breath sample. If a screening result indicates an alcohol level equal to or above 0.020, a breath alcohol confirmation test is performed. An evidentiary breath-testing device is used for the confirmation test to ensure legally defensible results. A medical/physical examination includes a medical history component, and a comprehensive head-to-toe physical assessment to identify current and potential future limiting medical conditions. The goal is to identify potential risks of a cardiovascular, diabetic or neurological event. All medical exams are performed only by qualified individuals and results are reviewed by a physician team, assuring quality and consistency. The physician determines medical fitness, recommends additional assessments when they are needed, and advises on follow-up interventions if required. Typically an add-on with a physical exam to determine potential pre-existing back conditions. Assessment includes a series of stretching exercises and a Kraus-weber exam. This does not assess functional abilities but rather identify potential lack of muscle strength or elasticity as the cause of back pain. A trusted physician will review the results to determine testing status and provide intervention when needed. The final fitness status is confidentially and securely reported to the authorized company representative. A functional fitness evaluation (FFE) is a series of tests, conducted in a clinical setting, that mirror the physical demands of the specific position a candidate will be employed in. These tests are developed based on a customized analysis that documents all the physical requirements of the position. The FFE is a risk mitigation tool designed to ensure that the employee is physically able to perform the required duties of the position without undue risk of being injured at the workplace. Audiometric testing assesses a person’s ability to hear tones at various frequencies and decibels (loudness). It helps to determine the effectiveness of ear protection and the degree of hearing loss related to exposure to noise and non-occupational illness. Our audiogram tests include documenting a comprehensive noise exposure history and determining current hearing status by checking for recent loud noise exposure and physically examining the ear. A technician then conducts testing at six frequencies at various decibel levels. A trusted physician will review the history and clinical information to determine testing status and provide intervention when needed. Finally, your authorized representative receives a secure and confidential report of results. A pulmonary function test (PFT) or spirometry measures how well the lungs take in and release air and move gases such as oxygen from the atmosphere into the body. The PFT can be used to assess the effects of toxic substances such as isocyanides on the lungs, check the suitability of wearing self-contained breathing equipment, and assess whether people are fit to occupy strenuous positions, among other things. The PFT is common in ongoing exposure surveillance programs. Our PFT includes obtaining a blood pressure reading, documenting a comprehensive substance exposure history and health history, and determining current lung function status by checking for recent symptoms and recent exposure. A trained technician then conducts a spirometry test to assess actual lung function. The technical equipment measures total lung volume and expiration velocity (volume over time). The PFT is repeated at least three times to ensure the results are reliable. Mask fit testing assesses the degree of protection or seal of a given mask size according to the acceptable standards set out by the manufacturer. 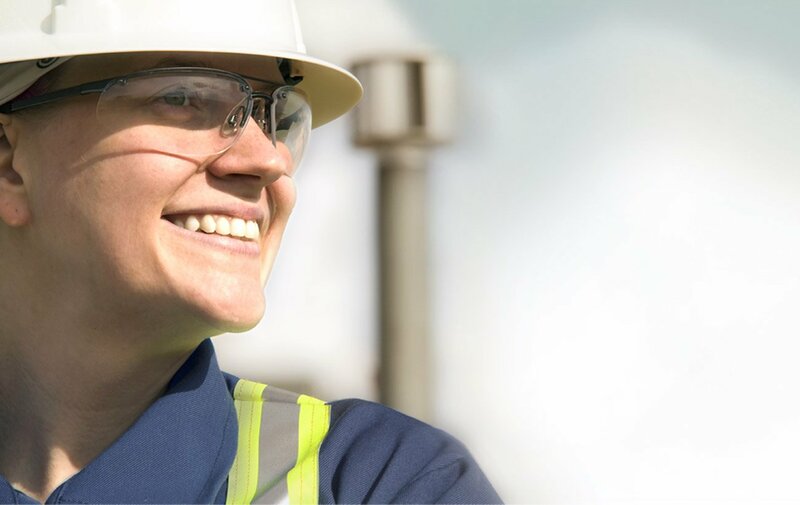 The mask fit test ensures the personal protective equipment often mandated by legislative requirements fits well enough to do its job and protect the worker from hazardous exposure. The mask fit test consists of measuring the seal of the mask during various breathing rates, head positions, and body positions as well as during speech. Your authorized representative will receive a secure and confidential report indicating the mask fit sizes (or if applicable, when no fit is found). To ensure results are reliable, we check our equipment daily and hold our technicians to the highest standards. We offer a few different options for x-rays, which can be completed at the request of our clients (and where available). The most common would be the chest x-ray which is primarily used to exam lungs, heart and supporting structures to determine any potential lung conditions. Other options may include back x-rays, which may investigate potential issues related to the spine. A final testing report summary, once completed, is confidentially and securely reported to the authorized company representative. We have various blood panels available which may assess liver/kidney function, heart/vascular health, and look at major biological indicators of illness or dysfunction that relates to workplace safety. Any abnormal results trigger further investigation. It is useful to employers who have a special interest in longer term cardiovascular risk and aim to raise health consciousness in addition to meeting safety objectives. A final testing report summary, once completed, is confidentially and securely reported to the authorized company representative. A test to measure the electrical activity of the heart. Sensors are placed on the body and this is assessed while the individual is at rest. Abnormalities found in an ECG will typically indicate further testing such as an exercise stress test. Once completed, a trusted physician will review the tracing and determine testing status and provide intervention when needed. Finally, your authorized representative receives a secure and confidential report of results. All account changes must come from the Primary DER and must be in writing. View our collection site map. In all instances, the Booking Agents will search for the location that is the most convenient for your prospective or existing employees. Please note: All sites listed may not offer the required services for a particular request. Our Booking Agents would be happy to investigate sites in the area for your individual request at the time of booking. If you are a unionized company and draw from the union you simply have the dispatch slip instruct the worker to call 1.800.440.0023, option 2 and then option 1, to book their drug testing and we’ll take care of the rest. Include your company name/CannAmm company ID number on the dispatch slip. You can schedule testing online by logging into our Program Administration Web Site (PAWS) with your username and password to submit a Web Booking. Once logged in simply click on “web booking” tab in the upper left side of the screen, complete the form and click “submit booking”. You can also call our toll free number and our staff will gladly schedule the appointment for you over the phone. Once the testing appointment has been scheduled, you will receive an email confirming the particulars of the appointment and a Booking ID Number. The Booking ID is the unique identifier related to the appointment details. We recommend you keep this number on file and provide it to the donor/patient for future reference. What does cannamm require to schedule an appointment? Donors calling in to book must confirm what union they have been dispatch out of OR provide the person full name and phone number. If the donor’s don’t have this, they will be asked to find the information and call us back with these details. If a donor has a previous no show, previous refusal or a previous positive on file, we request approval from the DER before rebooking unless you have indicated otherwise. Pulmonary Function Test (PFT): recent eye or abdominal surgery (3 months) as this may affect ability to schedule. How can the details of a booking be confirmed? The DER who requested the booking will receive an email confirmation with the Booking ID Number and important appointment details. For Occupational Health appointments the confirmation email will include the average turnaround time for the specific location performing the testing. This is the average business days we expect to report the file, based on the date/time of the last appointment. Donors booking their own appointment will be provided the appointments details verbally and asked if they want a text message with the details. The Booking ID is the unique identifier related to the appointment details. We recommend you keep this number on file and provide it to the donor/patient for future reference. Note: Based on the account preference, when donor/employee directly book their own appointment, the email booking confirmation may not be sent to the DER. WHAT INFORMATION IS TO BE GIVEN TO THE DONOR/PATIENT? Provide the donor/patient with the Booking ID number and appointment details. Donor/patient must bring government-issued photo identification to the appointment. Advise donor/patient to be prepared to provide the required sample (urine, breath or saliva) at the time of the appointment. If any of the above are found, we’ll need the donor to provide a second urine sample or, possibly, undertake an observed collection. The collection process for urine sample may take up to 3 hours to complete. If individual arrives to the clinic and paperwork has not been received, ask them to remain at the clinic and contact CannAmm as soon as possible. As per company policy, children will not be allowed in the collection room, and will only be allowed in the waiting room if supervised by someone other than the donor or CannAmm staff. Donor/patient is to arrive 15 minutes prior to the scheduled appointment time to complete the necessary paperwork. Instruct donor/patient not to leave the clinic/site if they encounter any issues during their appointment (example: site/clinic is missing paperwork). Contact CannAmm immediately at 1.800.440.0023, option 5. Audiogram: It is recommended that individuals avoid exposure to loud noises for 12-14 hours prior to testing. Blood/Clinical Urine Collection: Fasting may be required. Functional Fitness Evaluation (FFE): Bring any necessary safety gear, wear comfortable clothing and running shoes. It is recommended that the individuals avoid caffeine/nicotine for 2 hours prior to appointment as this can affect their heart rate/blood pressure during the assessment. Immunization: Must bring any previous immunization records. If a Mantoux/TB test is required, the donor/patient will be required to return to the clinic 48-72 hours later for the reading. Mask Fit-Testing: Donor/patient must be clean shaven and must avoid smoking 30 minutes prior to appointment. Eye glasses cannot be worn during Full Face Mask Testing. Bring optical lens mask insert to appointment. Physical Exam: If individual wears glasses/contacts they must bring them to the appointment as they will check their vision as part of the medical. Pulmonary Function Test (PFT): No smoking or vaping 2 hours prior to test. Individual must bring any inhalers (if applicable). It is recommended not to eat a big meal before the appointment time. Visual Assessment: Individual must bring glasses/contacts to appointment (if applicable). What is mobile testing and how can it be scheduled? These requests can be scheduled by reaching out to our Sales team at sales@cannamm.com or by submitting the request on our PAWS website. What ID can Donors use and what are the options if that ID is not available? During the urine collection and alcohol testing process, the collector/BAT is responsible for positively identifying the donor. Photo identification is required for all appointments (including Occupational Health). Faxes or photocopies of identification will not be accepted. If the donor arrives at the appointment without the required identification a client care representative will contact a listed Designated Employer Representative (DER) for voice recognition to verify the identity of the employee. If we are unable to identify the donor the appointment is cancelled until such time that the donor can either produce the required identification or an authorized company representative is able to identify them. Reporting of the results is done via the secure Program Administration Web Site (PAWS). We will send you a non-confidential email which will notify you of new test results being posted to our web site. You can then log onto our web site to view and print (optional) the result document(s). This also provides for an electronic filing system which guards against unauthorized disclosure. Once viewed the document envelope will remain open. Be sure to select the “View Read Items” checkbox to see both read and unread items. At CannAmm we have further developed and use technology which allows employees with cell phones which are text capable to receive their work clearances via text messaging (permission based on account preference). Post-Accident or Reasonable Cause test results will be verbally reported to an authorized DER. If we are not able to reach the DER, a voicemail to call back will be left for the Primary DER. Some after-hours results may not appear on PAWS until the following business day. Contacts selected as a Designated Employee Representative (DER) will have access to Drug & Alcohol results. Companies can specify if they want full access or Negative only. Donors/Employees can access their clearance to work (permission based on account preference) via phone by contacting CannAmm at 1.800.440.0023 option 2, and then select option 2 again or online via our web site. Donor’s simply select “Request Clearance Letter” and enter their Surname and unique specimen number from the custody and control form provided to them by the collection site. Occupational Health – Contacts must specifically be listed as having access to fitness/testing reports (this includes any testing other than D&A testing). Contact added as a DER and Occupational Health will have access to both. what are the estimated turnaround times for each test type? Express This is a screening tool only. Negative express is typically reported out same day. If sample is inconclusive, lab confirmation is required. Results typically report from lab to MRO within 24 – 72 hours upon arrival at lab. Express to Lab or Urine Screen/Oral Lab Preliminary express results (inconclusive or negative pending lab) are typically available on PAWS under pending results same day. Result typically reports from lab to MRO within 24 – 72 hours upon arrival at lab. Lab based Urine and Oral Fluid Negative results typically report from lab to MRO within 24 hours upon arrival at lab. Sample that require confirmation testing typically report from lab to MRO within 48-72 hours upon arrival at lab. what can impact turnaround times? Samples shipping from RURAL locations can be 2 or 3 business day travel to the lab. Samples shipping from remote locations vary substantially and can take anywhere from 3 to 6 business day travel to the lab. Samples that screen Negative typically result within 24 hours once the sample is received at the laboratory. Samples that require confirmation testing typically result within 72 hours once the sample is received at the laboratory. The laboratory in Edmonton is a SAMSHA Certified IITF (Initial Instrumented Testing Facility). Presumptive non-negative samples must be shipped to the London laboratory (SAMSHA Certified) for confirmation testing. This takes an additional 24 hours for transit. This process can take anywhere from 1 to 10 business days. The MRO will try to contact the donor 3 times over a 24 hour period. If unsuccessful, the DER is notified and the MRO holds the results for 72hrs before releasing the results as a no contact (Results are held 10 days from time result is received from lab for DOT). If MRO is pending medical information from the donor the MRO will allow the donor 5 business days to provide the requested medical information before releasing results. When the MRO is pending medical information, the DER is contacted and is advised. The MRO may order additional testing. The DER is contacted and is advised that the MRO has ordered additional testing. POCT: Inconclusive – Sent for Further Testing Inconclusive is a term used when the Point of Collection Test (POCT) screening of the sample does not provide a Negative result. All samples that screen inconclusive are sent to a SAMHSA certified laboratory for confirmation testing. Sending the sample to the laboratory for confirmation follows the industry standards. Pending MRO Review Interim status indicates that the test being reviewed by the Medical Review Officer (MRO). A finalized result is posted once this process is complete. Negative with Safety Advisory The MRO determined that there is a legitimate medical explanation for the drug reported from the lab but it has been identified that there is a potential safety risk of this individual performing safety sensitive job functions. Refusal There are multiple reasons for a test to be reported as “Refusal” such as; donor/employee failed to remain at the testing site until the collection process was complete, failed to comply or cooperate with collection protocol, was found with a device meant to adulterate or substitute the sample, admitted to collector to having tampered with his/her sample…Etc. A result comment with details will always be included on the Drug Report. Cancelled MRO has cancelled the test. A result comment with details will be included on the Drug Report. Not Tested There are multiple reasons for a test to be reported as “Not Tested” such as; sample lost in transit, insufficient sample volume received at lab for testing, sample arrived at laboratory with broken or damaged seals…Etc. A result comment with details will be included on the Drug Report. None The booking request has been completed. This “Result” will remain as “None” until the paperwork for at least one service has been returned or a final result is entered. Reports Pending This indicates we have started to receive some reports (applies to events with multiple services). Under Medical Review All reports have been received and the file is being reviewed. Further Testing/Investigation The physician has reviewed the file and has requested additional testing or information. Pending Re-Booking The original booking date no longer applies and the event is being rescheduled. Fitness: Compatible with Restrictions Compatible with job requirements requiring certain restrictions. Comment included on report with details around the restriction. Fitness: Incompatible Pending Corrective Measures Incompatible with job requirements, pending further corrective measures. Comment included on report with corrective action(s) that have been provided to the examinee. Fitness: Incompatible Health status is not compatible with the occupational requirements of the job. Incomplete Test There are three scenarios where an “incomplete” test may apply. Report: Workplace Restriction(s) Required Workplace restrictions required. Report: Further Medical Testing Required Undetermined. Further medical testing is required. Report: Unfit Unfit to enter the workplace at this time. Completed No classification provided, services simply completed. What to do with a positive result or when an employee self-Reports? unable to find an invoice? There are certain instances where manual invoices will be generated. When this occurs, the invoice will not be available online. If not able to find the invoice you are looking for, our Finance team will be able to look into this for you. Can PO Numbers be added to invoices? Clients can also ask that specific purchase order numbers are attributed to each test. This preference will need to be added to the company profile. Individual PO numbers will be required at the time of booking. Clients can also ask to have a blanket purchase order applied to their accounts. How do balance billing and additional fees work? Additional fees may apply for occupational health services if testing includes hospitals, physician rates or various external clinics. Invoices are posted to PAWS on a weekly basis and the primary billing contact will emailed a copy of the invoice. Secure online payments can be made on our website www.cannamm.com by selecting “Pay an Invoice” option and following the instructions. Invoices can also be paid by Electronic Fund Transfer (EFT) or by cheque. Please contact our Finance team to get set up for EFT. Click on Services, Training. This will open the CannAmm on-line training site. Part 382 of the U.S. Motor Carrier Safety Regulation makes it clear that every employer dispatching drivers into the United States must not only comply with the standards and testing requirements in Part 382, but must also ensure that the testing complies with procedures set out in Part 40. Do we have current copies of Parts 382 and 40 on hand? What are our obligations as employers in dealing with drugs and alcohol in the workplace? Do we maintain appropriate program records for audit purposes? Requirements are listed in 382-401 and indicate some records must be kept for a year, two years, five years, or indefinitely. Is our company policy regarding drugs and alcohol up to date, and has it been provided to all covered employees? Is it time to evaluate and perhaps revise the policy itself? Have each driver covered by the regulations sign a statement confirming receipt of the company policy and information about the regulations and testing program (i.e. driver information as per 382.601). Are the original statements in our files? Everyone who supervises a covered driver should be trained in how to comply with the regulations. Do we have proof of training on file (382.603)? Ensure that the company complies with every circumstance for testing, including random at the specified rate, reasonable cause, and post-accident as required, return-to-duty after a violation, and follow-up if directed by a substance-abuse professional (SAP). Do we have records showing that each driver passed a pre-employment drug test or is exempt before taking a U.S. trip? Remember, employers must ensure required testing is done regardless of who is ultimately responsible to pay for the test under their policy. Do we maintain records regarding contact with past employers (back three years) for every new hire, and ensure that we comply with all SAP requirements, including follow-up testing? Are we providing the names of local SAPs to all drivers who engage in prohibited conduct and not just to those who test positive-whether we continue to employ the driver or not? Keep a record every time this is done. Book collection appointment through CannAmm when you know the final interviews will take place and the successful applicant will be hired therefore, giving applicant minimum notice. Conditional offer of employment is given, preferably in writing, which includes a negative drug test and other conditions you normally require. Inform the applicant of the requirement for drug testing at the time the offer is made. Give applicant a copy of the company policy to read and sign consent form and file the consent form. (Page 15). Negative pre-employment drug test before putting to work. Have employee sign the “Employee Three Year History Disclosure Form”. Within 30 days of the new hires start date, you must obtain information from previous employers for previous 3 years making sure the employee is qualified to drive into the USA and is not in violation of the DOT regulations as a result of previous positives or refusals. File this information in your drug testing files. when is a Pre-employment test not needed? This requirement applies only to employees seeking to begin performing safety-sensitive duties for you for the first time (i.e., a new hire, an employee transfers into a safety-sensitive position). If the employee refuses to provide this written consent, you must not permit the employee to perform safety-sensitive functions. Employee 3 year history/pre-employment verification forms need to be filled out. If the information provided on these forms meet the requirements above then the employee is exempt from needing a pre-employment test. The forms will need to be emailed to CannAmm to verify and add the employee. How are random lists generated? We send out your Notification for Random Testing lists on a quarterly basis (every 3 months).By Postal mail. The Random list must be kept in your company DOT files. The Randoms must be completed within the quarter they were chosen. Should you require any assistance with these lists, please contact us. Updating your active employee list should be done on an ongoing basis. When your employees who are in your random pool leave the company you can simply log on to our Program Administrator Website (PAWS) and deactivate them out of your active employees list and then apply a status to them for any outstanding random tests i.e. “no longer employed”. If you don’t have access to the Internet simply fax or email us all the changes to your employee list. There is a reminder email sent to the company Primary contact several weeks before the start of each quarter. when is a Post-accident test required? What are the testing timeframes? Breath Alcohol testing must be completed within 8 hours of the accident. Urine drug testing must be completed within 32 hours of the accident. In the event that one of your employees test positive, contact us immediately. We will guide you through the process and supply you with the proper paperwork. CannAmm has an in-house Substance Abuse Counselor that manages a network of Substance Abuse Professionals located throughout Canada. We will work with you to ensure that all the proper steps are taken in order to adhere to your company policy and related guidelines. DOT Audit can be an online or onsite. We require the company to email us all the information requested from the DOT Auditor including the email notification for the Audit. We will help guide to company with their corrective actions. The company is to fill and keep MIS Form on file for each year. We do not complete this for the company, we do offer a report on the website to help with the completion of the form. Where can the following documents be found? Contact our Sales team via email sales@cannamm.com for more information or to request a DOT Policy. This program is easy for employers and unions to put in place and maintain. The return-to-duty process begins with a Conditions of Employment agreement between the individual returning to work and the employer or Union. By signing this document, the employee agrees to the conditions necessary for him or her to return to work, including a substance use assessment and completion of any treatment or other recommendations before their return to work. How does the SAP Results Process work? Employee & employer sign Conditions of Employment form and return it. RTDS will contact the employee to confirm their location and explain the process. RTDS will then send a referral to a SAP in the employee’s area SAP contacts employee to schedule an assessment. SAP will complete the assessment and will forward reports to RTDS within 5 business days. Screening Assessment (The screening is optional, if requested by the employer. USDOT and the Canadian Model require face-to-face assessments only). Our qualified and certified in-house Substance Abuse Professional conducts a confidential substance use screening over the telephone or over Skype. This screening will indicate if a comprehensive assessment is required. If not, the employee is released for further drug and/or alcohol testing as required. This process is an in-depth assessment that is done face-to-face. Its purpose is to determine what, if any, intervention is required. RTDS will forward assessment results to Company/Employer within 1 business day of receipt. Employee is released for a return-to-duty test with or without recommendations. An MRO verified negative return-to-duty test is always required before the individual can return to work. Employee to complete recommendations prior to returning to work. Employer can choose to enroll employee in a monitoring program at this time. When an MRO verified negative return-to-duty test is confirmed, CannAmm will send your Employer/Union Representative a suggested follow-up testing program as per SAP recommendations. (USDOT Regulations require a minimum of 6 tests in 12 months). The Monitoring Program is an additional service offered to follow and assist the employee through the completion of his/her recommendations and to ensure employee compliance. what are benefits of using cannamm’s “return to duty” process? One phone number (800-440-0023) gives you access to all the related services. Confidential information is securely stored electronically in one location. For “comprehensive assessments” there are two SAPs involved to ensure and maintain the integrity and standards of your specific policy: the SAP who completes the assessment and your corporate SAP through CannAmm OTS. This process ensures that both the employer and the employee are represented. why use cannamm rather than an eap provider for your return-to-duty program? The employee agrees to and authorizes CannAmm and the SAP to release to the employer/Union representative the recommendations resulting from the assessment at the onset of the program. He/she stipulates that the release of this information is a condition of employment. CannAmm OTS ensures that all SAPs have extensive clinical experience in the assessment of substance use disorders. They must also have knowledge of appropriate services required to assist the employee in resolving their problems in a beneficial fashion. CannAmm’s process ensures the confidentiality of the transmission of information on a need to know basis. CannAmm can oversee the entire process, from testing or admission of a substance use problem, to completion of all recommendations. We also keep the employer updated every step of the way in an effort to ensure you meet your due diligence requirements. What are the different DER roles/access levels and what can they do? Contact our Client Care Representatives to obtain full document outlining the roles that exist and details around each. Making a change to an account? How do i add NEW services to my account? Managing the employee Random List? 7. Select Yes beside Change Status? The Designated Employer Representative (DER) is responsible for uploading and managing their company’s employee list for each random draw within the CannAmm Program Administration Website (PAWS). Note: Active employee lists are required for random selections. “View Random List” enables the DER to view the employee’s names selected for each random draw. The DER is responsible for managing and scheduling the employee’s random tests within the random draw period. “Edit Employee List” enables the DER to upload and/or append the current active employee list. The DER is responsible for keeping the employee list up-to-date for each random draw. Specify the company/division you will be updating to the active employee list by using the drop-down menu. Browse to select your active employee list CSV file. You can confirm that your file has been selected when it appears in the browser window. Once the 4 columns have been identified, click the Continue button. A legend will appear that will notify you to which actions are about to be performed, and will include the number of rows for each action. Each row represents an employee name. PAWS requires DER intervention in order to resolve a conflict between 2 similar employee records. Once all employee record conflicts are resolved, and the list of actions are reviewed, you can complete the Employee List Import by clicking the Import (Finish) button. You will then see the list of actions that has been successfully completed. A successful fitness for duty program relies on communication. Effective education of a workforce allows the employees to become involved with the program. Want to give everyone on your team the right tools to make the workplace safer and your business more productive? Many companies are aware of the need to control substance abuse within the workplace to reduce risk and create a safer work environment. Education is a very important factor in promoting awareness and proactively reducing incidents on the job. CannAmm offers drug and alcohol awareness training for both supervisors and employees in a classroom setting or via the CannAmm Learning Centre, an online training platform designed to provide an interactive and flexible training solution, anywhere, anytime. The CannAmm Learning Centre platform interface is simple and intuitive, providing learners with the most consistent and accurate training materials, which were developed and approved by CannAmm industry experts. Online training ensures that training has a minimal impact on operations by reducing the employees’ time away from the workplace. The enhanced flexibility of the CannAmm Learning Centre allows training to be completed according to each learner’s pace and schedule. Furthermore, immediately upon completing each course, learners can then print their own certificates. Already have a Learning Management System? CannAmm also offers integrated solutions that allow our industry subject matter expertise to link directly into your organizational LMS; providing both the content you trust and the control you depend upon for training compliance. Contact us if an integrated option is a fit learning@cannamm.com. Contact us for more information about managing your occupational testing program.